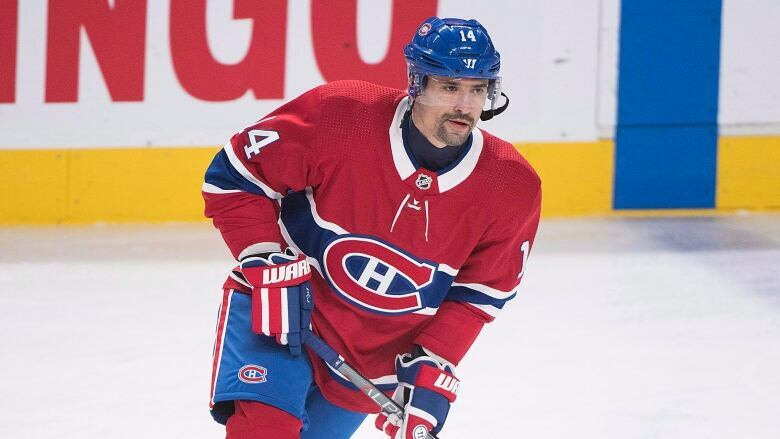 Former Montreal Canadiens centre Tomas Plekanec has filed a court action in an effort to recover $200,000 he provided to help finance a movie starring his wife. The poster for the movie The Perfect Kiss. Court documents filed last week say The Perfect Kiss, with an estimated budget of $1.7 million, was released in the United States last March and in Canada and his native Czech Republic last November. The movie, which was filmed in the Montreal suburb of Laval, is a romantic comedy starring Lucie Vondrackova as a single 30-year-old woman who pretends to be married with children to escape the unwanted attention of her overbearing parents. According to court documents, Plekanec advanced the $200,000 in December 2016 and sought to get the loan repaid last August, the same month Czech media reported the couple had separated. But the two numbered Montreal companies that made the movie advised Plekanec's lawyers that they did not owe him any money. They said their obligations were transferred to a third party, with Plekanec's consent. The former Hab claims he never agreed to the transfer and is seeking repayment, plus interest and legal fees.